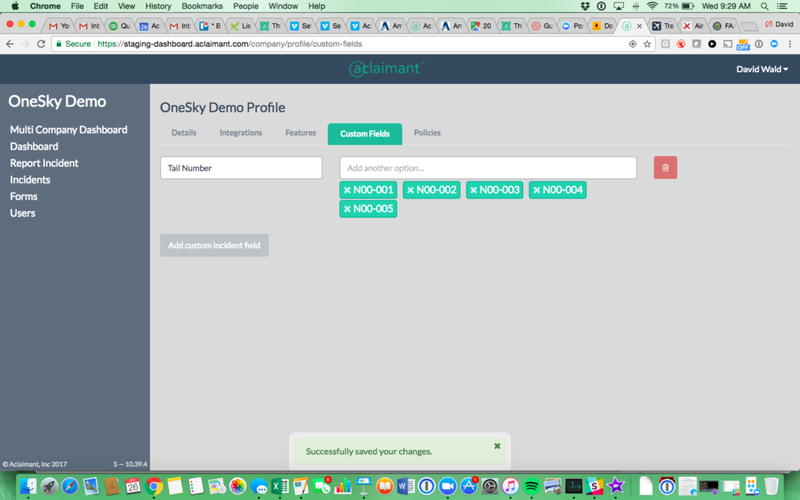 Aclaimant allows for the tracking of Tail Numbers and other vehicle tracking numbers for aviation clients like OneSky. Scroll down to see a few screenshots of how we make this possible. On your company profile, we are able to setup custom fields to track and inventory information. This can include categorizations of damage types, pilots, airports, etc. whatever and however information needs to be tracked, the system can easily handle. 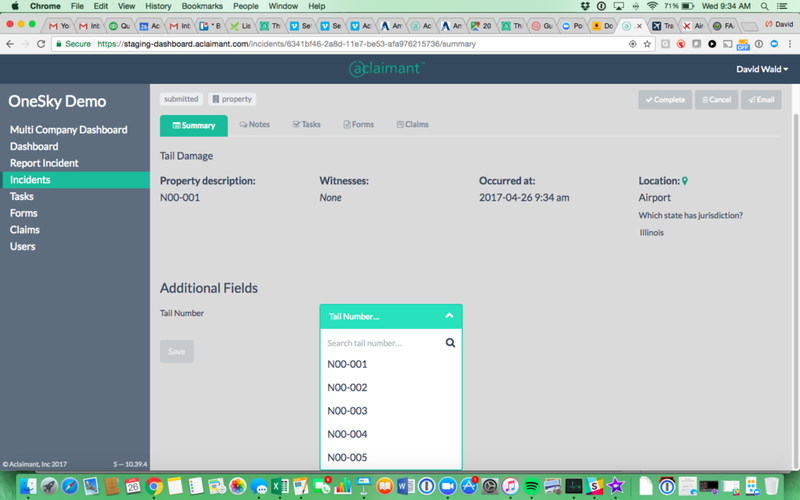 In the below example, we have begun to setup Tail Number as a custom field that can be used for incident and claim tracking. Each individual incident report (and subsequent claim can be tagged to a specific tail number. An example of this tagging process can be seen below. 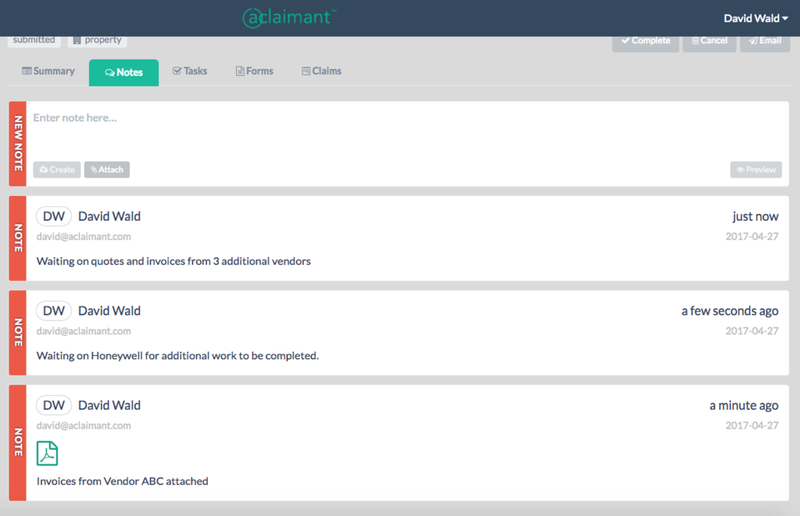 Once an incident is tagged, you can search and filter for any and every incident or claim related to that specific tail number. Below is an example of how you can filter reports to see all activity for a sample tail number. Lastly, because this information is instantly and seamlessly translated into Analytics, we are also able to filter incident count, frequency, and claim activity by these fields as well! Below is an example of incident count by tail number. We look forward to working with your team at OneSky!